This is .30-30 Winchester 150gr. Supreme Ballistic Silvertip Ammo. The Supreme Ballistic Silvertip's combines proven Nosler Ballistic Tips with a patented Winchester Lubalox coating for the ultimate in extreme range performance. The harder lead core ensures proper bullet expansion. 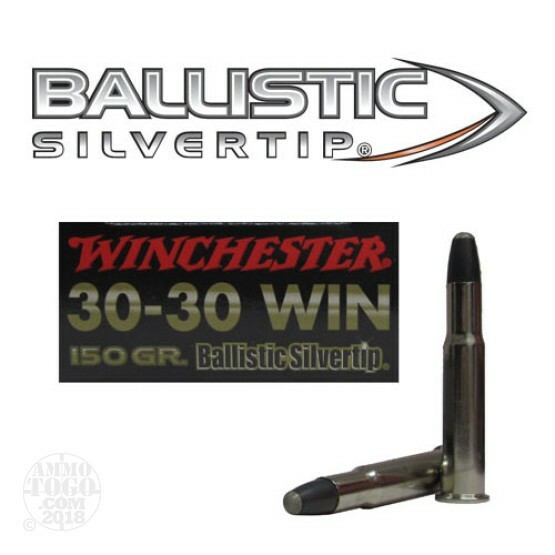 Fast at 2390fps, the Supreme Ballistic Silvertip has a massive knockdown power with an energy of 1902ft-lbs. This ammo comes packed in 20rd. boxes.